Client Mr. M order a piece of road marking from us very urgently, in January, 2015. It looks like Mr. M knew our company and our product wery well. 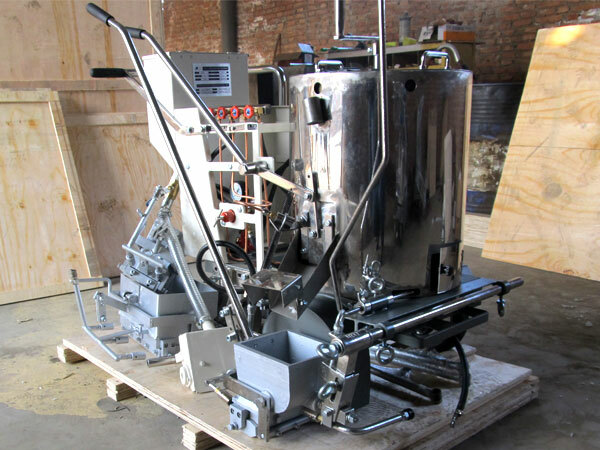 From his first enquiry email, he listed the machine model DY-HAL-I and detailed specifications he want. 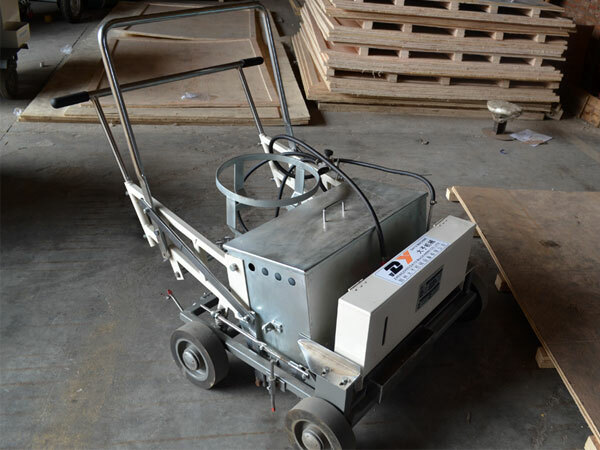 After details check, Miss Vicky, our sales engineers, arranged the delievery of this DY-HAL-I hand-push cold spraying type road marking machine. with one 150mm marking shoe and 150mm glass beads dispenser. 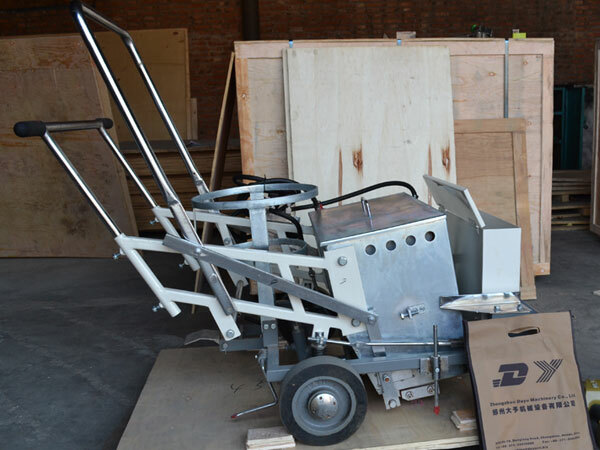 DY-HAL-I is used for marking small scale pavement lines by pulling the machine, easy and convenient to operate. with double spray guns for line width 50-450mm. In August, 2014, we received an order from our regular customer Mr. E from Philippines. He owned his road marking and maintain company. After communication with Miss Vicky, our sales engineers, Mr.E bought one DY-HPT hand-push thermoplastic screeding type road marking machine, with one 150mm marking shoe and 150mm glass beads dispenser. 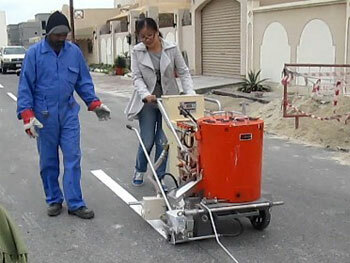 DY-HPT is used for marking small scale pavement lines by pulling the machine, with simple structure. it is easy and convenient to operate. Marking width: 100 mm - 300 mm, can be customized according to customer's requirements. April 30, 2013, we received an inquiry from Mr.A, coming from LETRASIGMA, a Ecuador Company engaged in outdoor advertising and street furniture. After communication with Miss Vicky, our sales engineers, Mr.A decided to purchase two big size driving type road marking machines (DY-BTSC, DY-BSAL) and one four-wheel type thermoplastic paint pre-heater (DY-FHDP). June 14, 2013, we received an inquiry from Mr.P, coming from Intersectional Linemarkers (ILM), a West Australian owned and based company, with a successful track record on both large and small jobs all over Western Australia. After communication with Miss Vicky, our sales engineers, Mr.P bought two DY-HPTP hand-push thermoplastic pedestrian road marking machine, one with 450mm shoe and one with 500mm shoe. DY-HPTP is used for marking pedestrian or zebra line by pull the machine, with simple structure. it is easy and convenient to operate. Marking width: 350 mm - 600 mm, can be customized according to customer's requirements. May 14, 2013, we received an inquiry from Mr.W, coming from PCI, a State of California licensed contractor specializing in pavement striping, marking and sealcoating of parking lots, streets, airports and playgrounds. Mr.W have never purchase out of the country before. 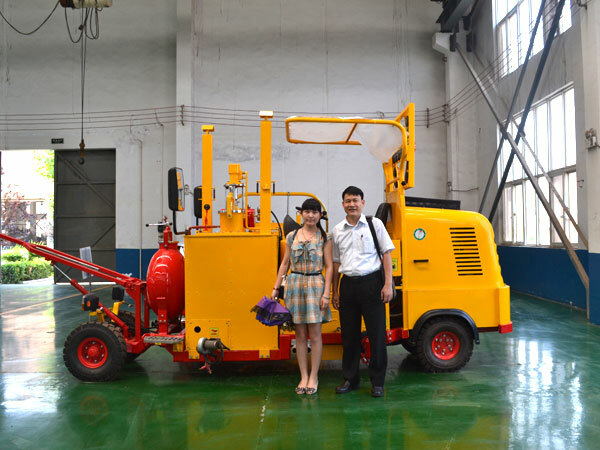 After communication with Miss Vicky, our sales engineers, Mr.W bought a DY-HPTP hand-push thermoplastic screeding pedestrian road marking machine from us. We are very honored to be the first overseas partner of PCI. 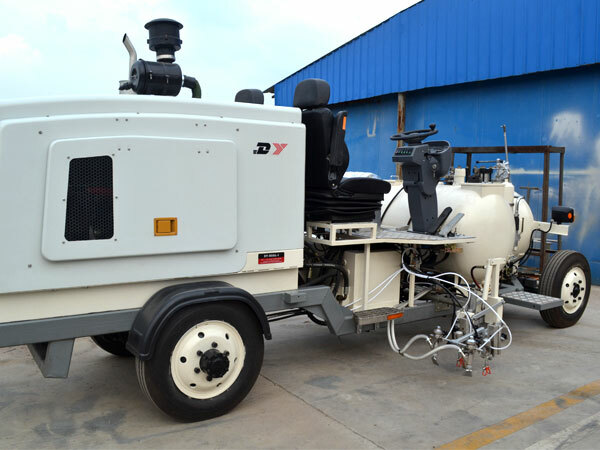 Mr.J, coming from Joe-Edy Services Limited, an road marking construction company in Nigeria, had purchased one DY-HPT and one DY-VHDP from us in March, 2012. In March 2013, we recieved an email from Mr.J again, in the email, Mr.J told us that he is very satisfied with our products. After communication with Miss Vicky, our sales engineers, Mr.J purchased one DY-HPT and one DY-VHDP again. We also work closely to get the Form M and pass the SONCAP certification. 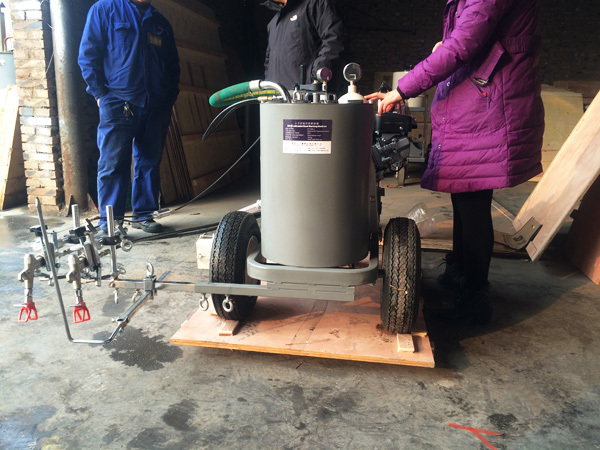 2014 just arrived, Mr.J said that he would buy some more road marking equipment from us. Our products and services earned Mr.J's trust, we establish a long-term friendly relations of cooperation with Mr.J. April 18, 2013, we received an inquiry from Mr.H, coming from SIVICO Joint Stock Co., an manufacture of road marking material in Vietnam. After communication with Miss Vicky, our sales engineers, Mr.H bought a DY-STM driving type thermoplastic road marking machine and a DY-VHDP thermoplastic road marking paint preheater, and signed an agency contract with us, became our agent in Vietnam. July 2012, we received an inquiry from Mr.A, coming from Bahrain Motors Company W.L.L. They want to establish a section within their company's Road Construction Division to carry out the entire road marking requirements on the roads projects that they are executing for the Ministry of Works, Kingdom of Bahrain. After communication with Miss Neijer, our sales engineers, they decided to purchase one non-automatic marking equipment (DY-HPT), one automatic marking equipment (DY-STM) and two thermoplastic paint preheaters (DY-VHDP), this is because on the roads projects, they have a large requirement for road marking, they will use the automatic marking equipment, on the projects which are relatively small and are located inside the city, they will use the non automatic road marking equipment. And they require that we send our technicians to train their new operators. December 8, 2011, we received an inquiry from Mr.B, coming from Rua Seguridad Corporation, engaged in the road safety industry in the Philippines. 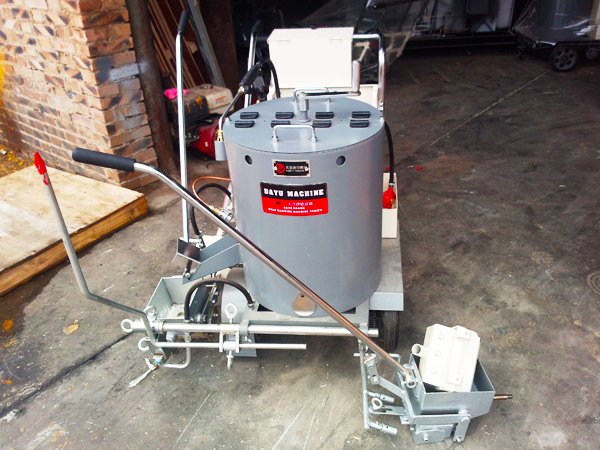 Mr.B has extensive experience in the use of pavement marking equipment. Before purchasing our equipment, he bought road marking equipment from other Chinese manufacturers, those devices can not let him feel satisfied. After communication with Miss Neijer, our sales engineers, Mr.B bought one set DY-HPT hand-push thermoplastic road marking machine and one set DY-VHDP thermoplastic road marking paint preheater from us. Since then, establish a long-term good relations of cooperation between us. Most recently, he expressed the hope to become our distributor in the Philippines, we are more communication on this matter. April 5, 2013, we received an inquiry from Ms.G, coming from ORE company, a French manufacturer of all kind of paints. 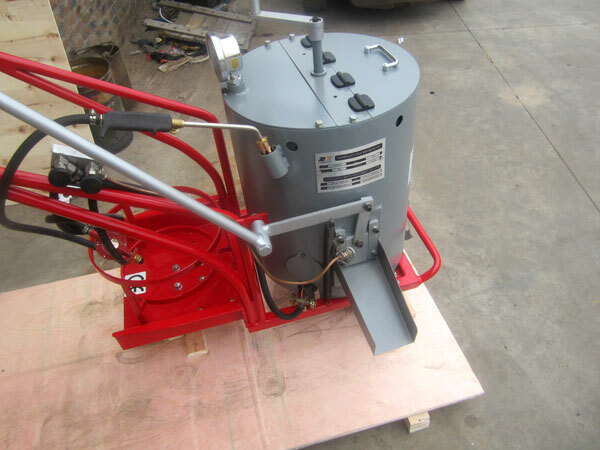 She need some thermoplastic pre-heaters to used inside the workshop (not in outdoor), 2 set DY-VHDP with electrical engine ( not diesel engine ) and 1 set mini pre-heater ( Capacity: 30 L, according to the customer's requirements). 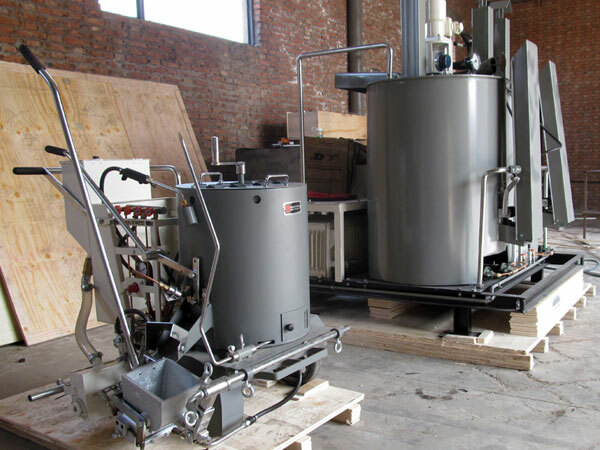 After communication with Miss Neijer, our sales engineers, Ms.G signed a procurement contract with us, and send the payment order to us soon, because they need our machine very urgently.